Eat, sleep, rave, repeat... 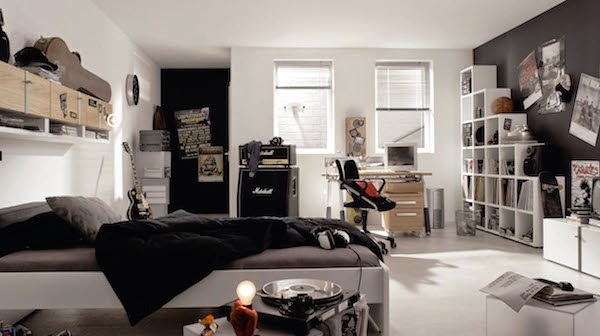 I remember being a teenager myself and sleeping in till noon, I also remember how I loved to change my room all the time, making a futon lookalike sleeping corner, buying myself an electric cooker for a tea corner to make tea for my friends while hanging out in my attic room. And arranging my records and adding up posters of my favourite bands. It was before Japanese masking tape took over our walls and nine out of ten times I found myself breaking the pushpins on the brick wall. I had to think of it when I found the picture of this room with the beautiful matt black magnetic wallpaper. How do you like this room, shared by two teenage boys and divided by a sliding door. 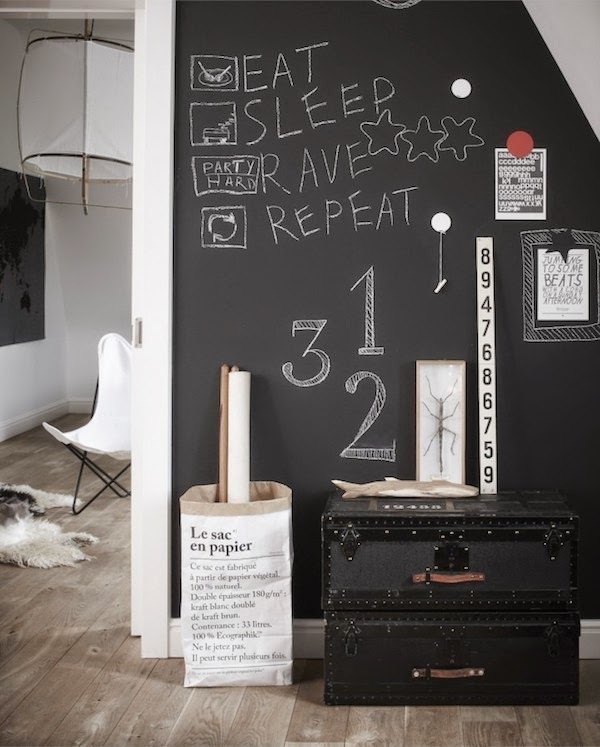 This wallpaper has written "be creative" all over it and seems perfect for every kids room or hallway. Get your own magnetic wallpaper at the Couleur locale webshop!